phenomena of life and death. "Thank you for this masterpiece." – Elisabeth Kubler Ross, M.D. Ican speak of the entire Process — having Done It, Manifested It, Demonstrated It. And I can account for It because I Know It — not because I am philosophizing about Its possibility. Death is utterly acceptable to consciousness and life. There has been endless time of numberless deaths, but neither consciousness nor life has ceased to arise. The felt quality and cycle to death has not modified the fragility of flowers, even the flowers within the human body. Therefore, one's understanding of consciousness and life must be turned to That Utter, Inclusive Truth, That Clarity and Wisdom, That Power and Untouchable Gracefulness, That One and Only Reality, this evidence suggests. For Adi Da Samraj was born in and as and from the "Bright" Reality in which there is neither birth nor death, and His entire lifetime has been spent unlocking that Ultimate Condition from limited views of the ego, in order to offer a way for anyone to Realize It directly. "Since I began reading spiritual literature at the age of nineteen . . . no book has changed my view of the universe more profoundly than Easy Death . 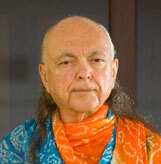 "Adi Da Samraj has spoken directly to the heart of our human condition — the shocking reality of our brief and unbidden lives. Through his words I have experienced a glimmering of eternal life."